The new year is running strong, business actions are in full swing. Is your website ready for 2019? Mica Specialties will be partnering with Google My Business to present a livestream event that will offer expert advice following the best practices on how to give your website a refresh. We will discuss search-friendly websites and search engine optimization (SEO) techniques that are credible and relevant to your digital presence in 2019. RSVP is required, please register to attend so we can have your seat ready. All attendees must be 13 years or older. All Mica Specialties events include free refreshments, along with some fun Google gifts and a little something extra from Mica Specialties. 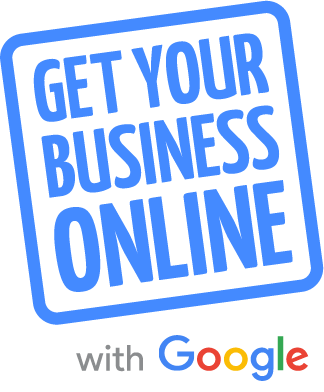 This will be a relaxing time spent learning more about the Get Your Business Online program and how Google can help you grow your business. There is no cost, no obligation and absolutely no mention of anything to spend your money on... so it will only cost you the time it takes to attend. Please use our contact us page to RSVP so we can plan for your attendance. Please let us know the names of any of your guests, too. Seating is limited. Get Your Business On The Map. Mica Specialties is partnering with Google to help put every business in the Panama City, Florida area on the map - including yours. Getting all of your business info online is free and easy, so there is no pressure to spend a penny with us or Google. All you have to do is contact us and we will take care of everything for you. Once we submit your information, Google will list your business on Google Maps, where other local businesses are and where consumers searching for things to do, places to eat, and stores to shop at. Your listing will show up on all types of computers and devices, including mobile phones where consumers are looking for directions and contact info. You operate a business in Bay County, Florida and you absolutely need to be on the map. Let’s Put Our Cities on the Map is an initiative to help local businesses increase their presence online. We’re working with business owners, city officials, and lovers of all things local to spread the word about the importance of getting local business information on Google Search and Maps. Businesses want to be found by their customers. Customers want to find updated information about local businesses. Let's Put Our Cities on the Map was designed to help strengthen our communities by connecting local businesses and customers so they can easily support each other. In fact, we’ve seen that complete business information can help generate economic value to individual communities, yet only 37% of businesses have claimed a local business listing on a search engine–that’s a lot of missing information. And with 4 out of 5 people using search engines to find local info like business hours and directions, it also means a lot of missed opportunities for you as a local business. Not sure if you are already on the map? Just use this quick search tool and verify your listing. Did you know that 3 in 4 consumers say it's important to read reviews before visiting a business. Customer reviews appear with your Google My Business listing on Google Search and Maps. Reviews can provide valuable feedback about your business, and responding to reviews can build trust. In order to reply to reviews, your listing must be verified. You should encourage your customers to leave you honest reviews without incentivizing them. The best reviews are straight from a consumer recently after using your services or visiting your business. We recommend that you set up a webpage on your website with a directory of places they can leave reviews. This makes it easy on them and allows you to direct them to one place that you can update as needed. Take a look at our review page for an example of this setup. You can also ask them to search Google for the name of your business and then click on the write a review button. Visit your Google My Business listing and sign in. Select the business and click the Reviews tab. You’ll see the option to view and reply. Remember you’re replying publicly, so anyone can see what you write. When responding to reviews, you’ll want to: 1) respond promptly and keep responses genuine, short, and sweet. 2) thank customers for positive reviews and 3) avoid offering incentives or advertisements. Always be sincere, considerate and compassionate when replying to any review, good or bad. Mica Specialties can provide help, if you need it, at no charge to you. You can also check out this easy to use guide from the Google Gybo team. Thank you for visiting Mica Specialties.